Digital Light Printing (DLP) Stereolithography uses a projector to image each layer within a UV-curable, liquid material. 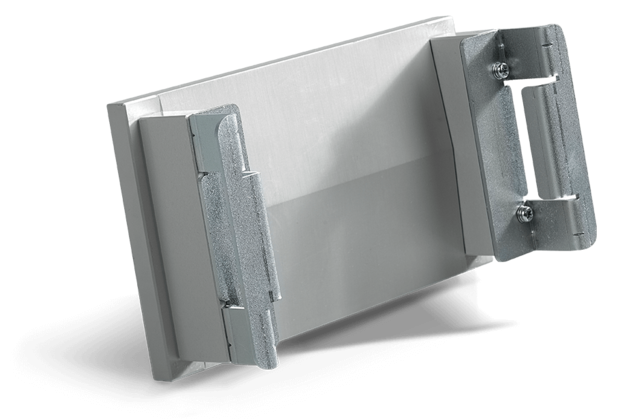 Layer thickness from 30 – 50 micron offers superior edge detail, accuracy and surface finish. 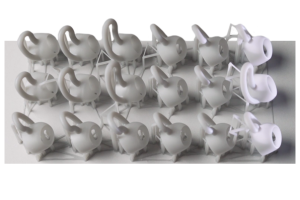 And with a build size of 125 x 70 x 120 mm, the FabPro 1000 is able to produce larger parts faster—or several smaller parts at once to generate multiple iterations simultaneously. 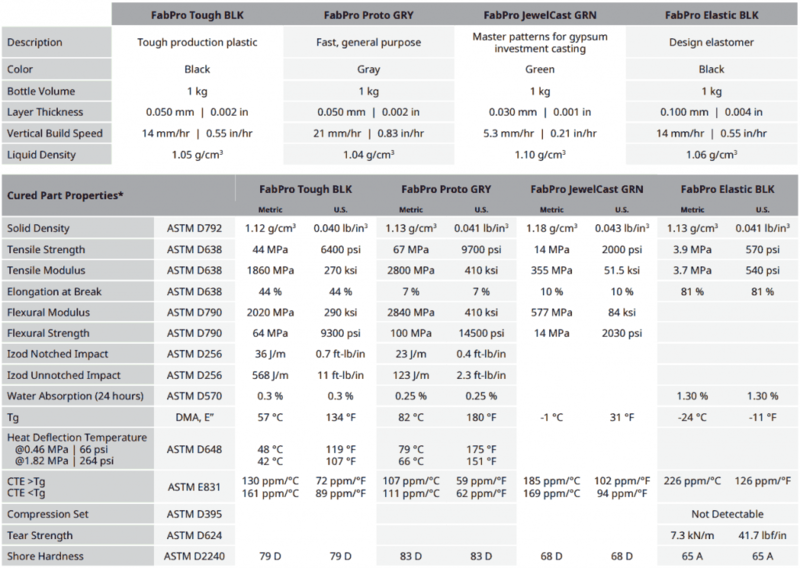 See how FabPro 1000 excels to deliver improved accuracy, speed, and cost-efficiency compared to other systems in its class. 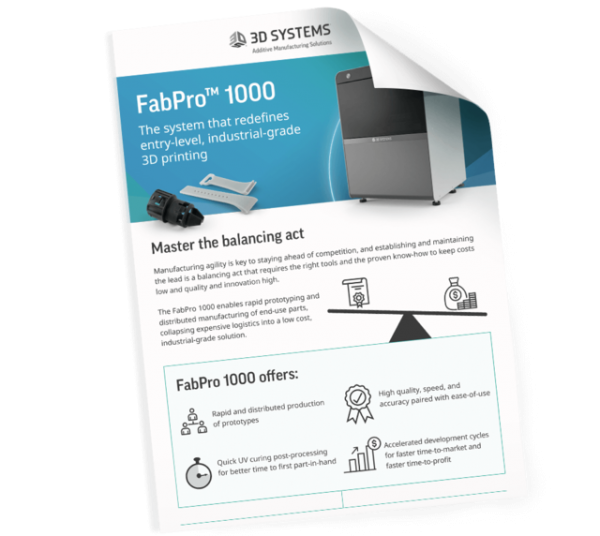 The FabPro 1000 is engineered for material efficiency and consistent, repeatable runtimes, making 3D prototyping and production more accessible and affordable than ever before. 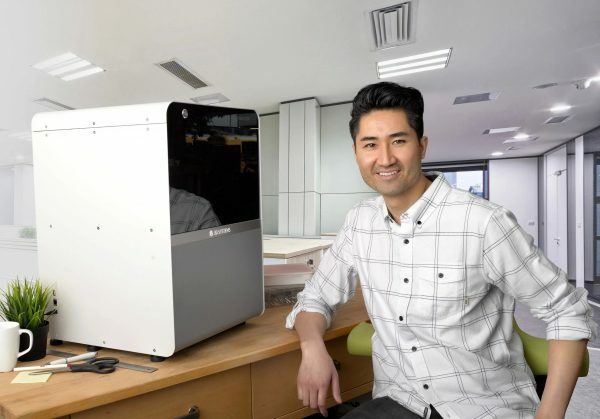 3D Sprint file preparation and print management software helps manage material usage with less waste with optimized print builds and support structures. This combination of fast print speeds and optimized printing all leads to lower part costs and lower Total Cost of Operations (TCO). 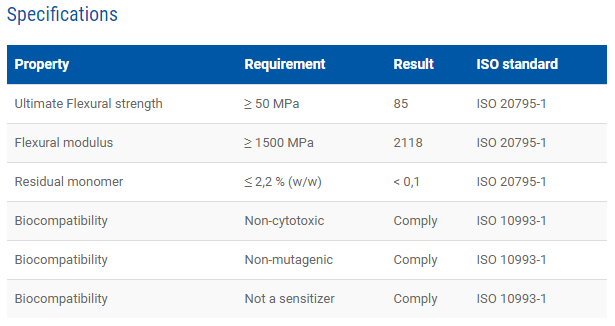 No special training or certification is required due to an intuitive design and easy-access print chamber. Replacing print trays and switching materials is a snap. 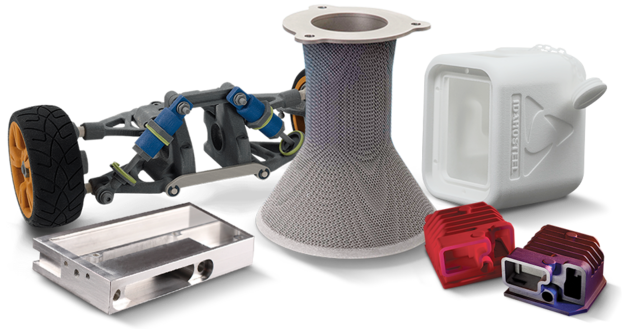 Post-processing is seamless with an included finishing kit, and optional light-based LC-3DPrint Box UV post-curing unit for required cleaning and curing. 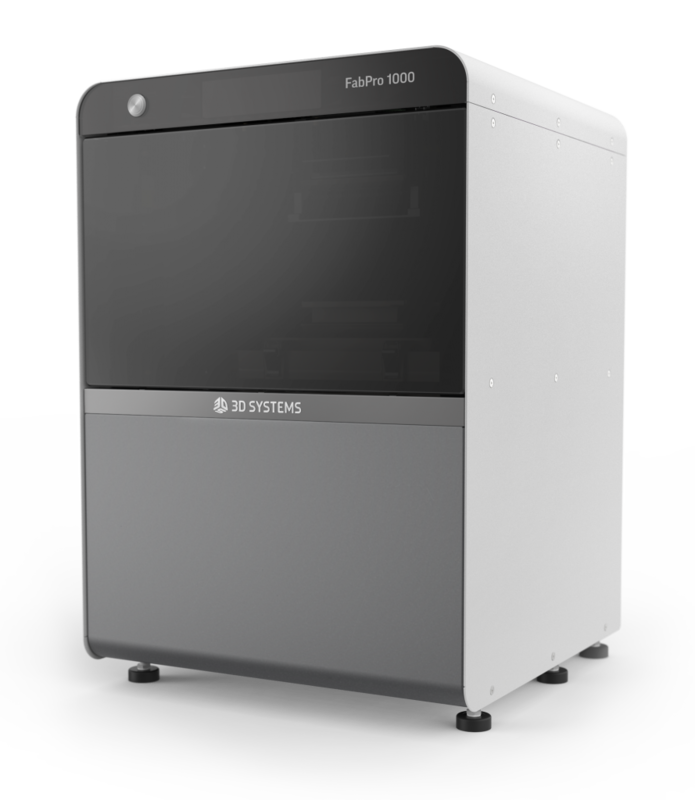 Preparing part files for printing and monitoring print jobs is easy with 3D Systems 3D Sprint software, which comes standard with every FabPro 1000. 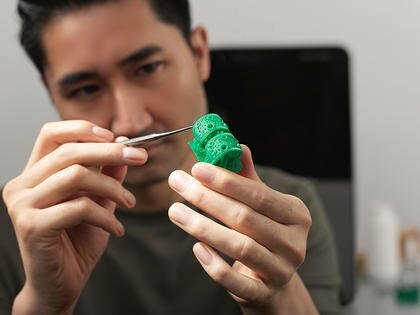 This robust additive manufacturing software streamlines printing preparation through file importing, editing, repairing, and slicing and optimizes part placement on the platform with support creation and nesting. Werner Blumenthal, President of WB Engineering, Inc. 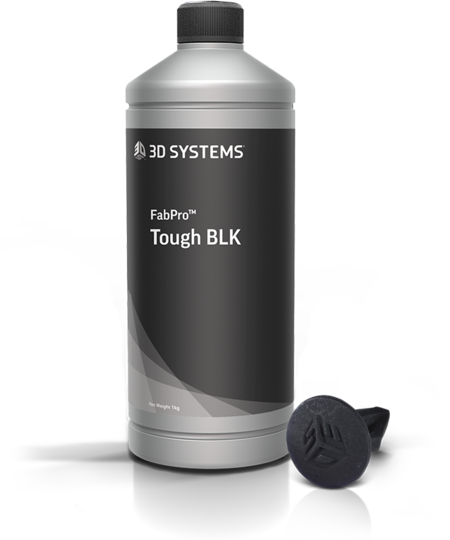 Combined with the versatility, reliability and small footprint of the FabPro, this tough material provides a solution to create prototype applications quickly, right at the desktop to keep projects moving. 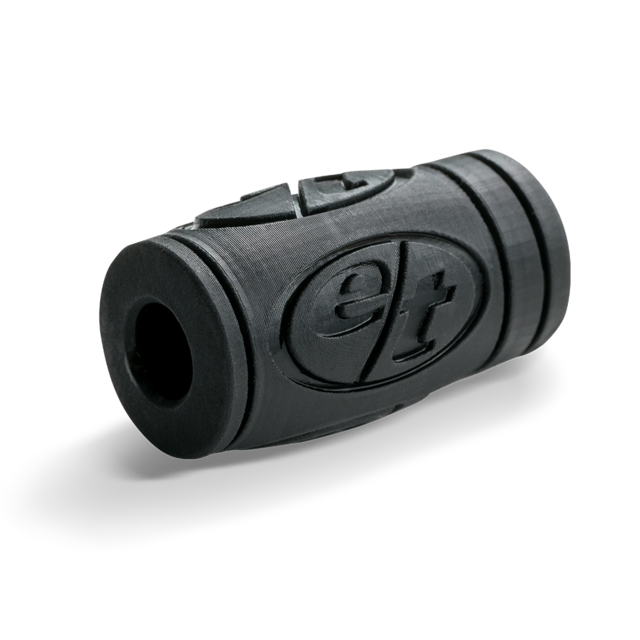 Durable plastic material for producing black parts for functional prototyping and production parts. 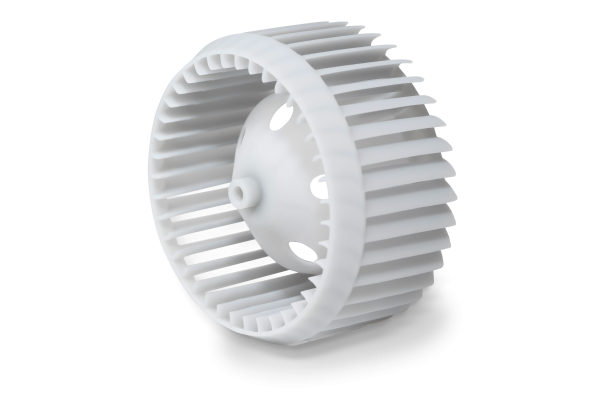 Combined with the versatility, reliability and small footprint of the FabPro, this tough material provides a solution to create mechanical assemblies, fit testing prototypes and functional parts right at the desktop. 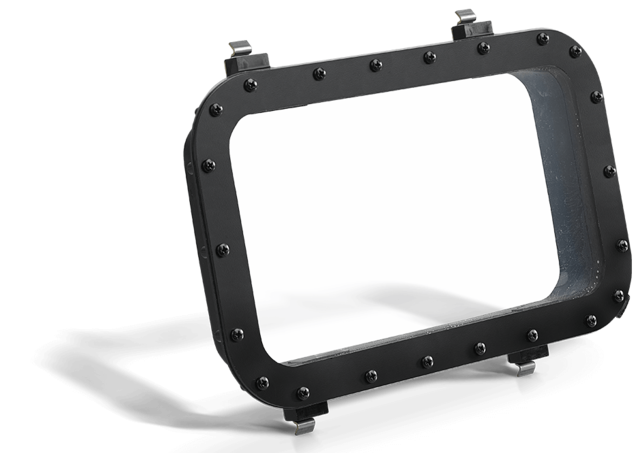 Ideally suited for industrial applications, this opaque grey material highlights fine features and is ready for finishing and painting, perfect for high-quality prototypes and models. 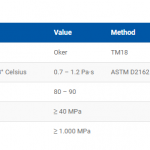 A fast, general purpose plastic material ideally suited for prototyping applications. 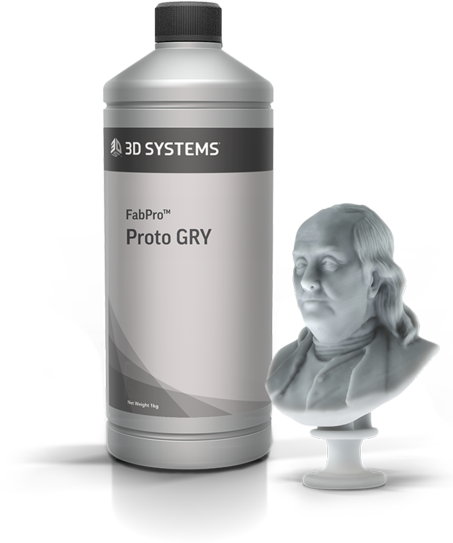 The FabPro’s precision printing in this opaque grey material highlights fine features and is ready for finishing and painting, perfect for high-quality prototypes and models. 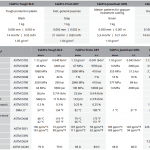 A material for accelerated designing and prototyping of a wide variety of rubber-like and elastomeric products for industrial and consumer goods applications. 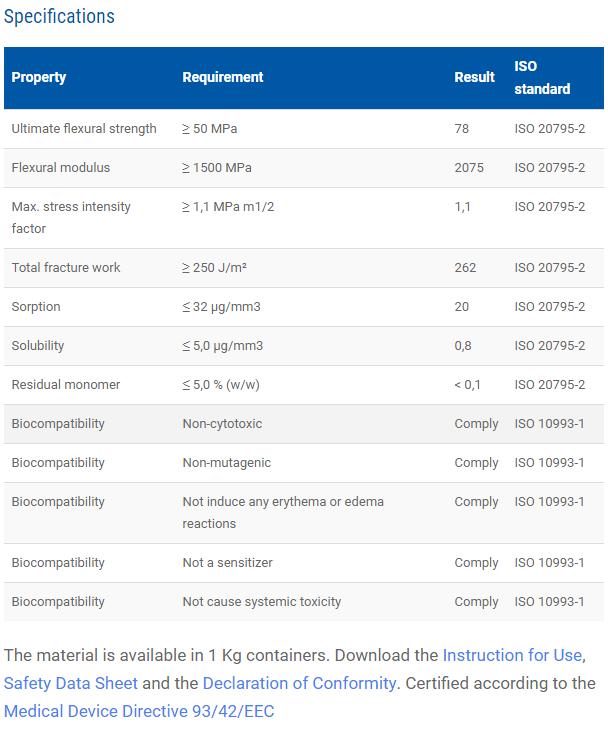 This black elastomeric material offers excellent compressive characteristics. 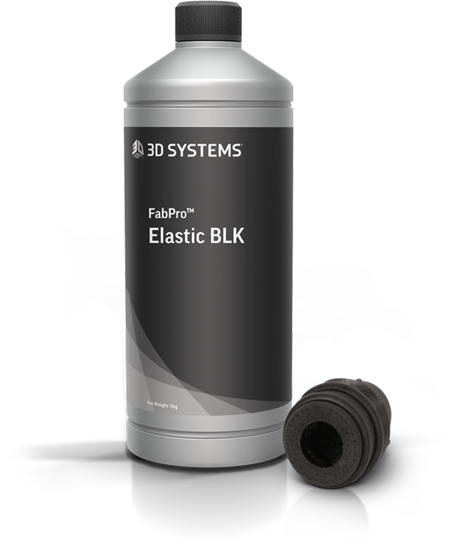 FabPro Elastic BLK is a material suited for the prototyping and design of a wide variety of elastomeric parts. 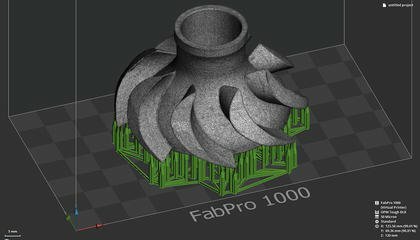 Combined with the FabPro 1000’s productivity and part quality, this material accelerates the design and iteration of new concepts with rubber-like prototypes for industrial and consumer goods applications. 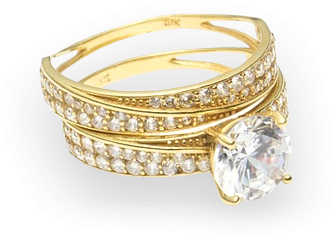 Ideal for small, fine-featured jewellery master patterns for gypsum investment. When it’s all about the wow factor, the precise, user-friendly FabPro shines, quickly and easily creating high-quality show and casting masters from the desktop. 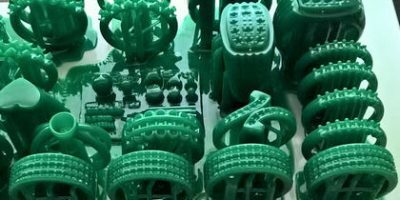 A green material ideal for small, fine-featured jewellery master patterns for gypsum investment casting applications. 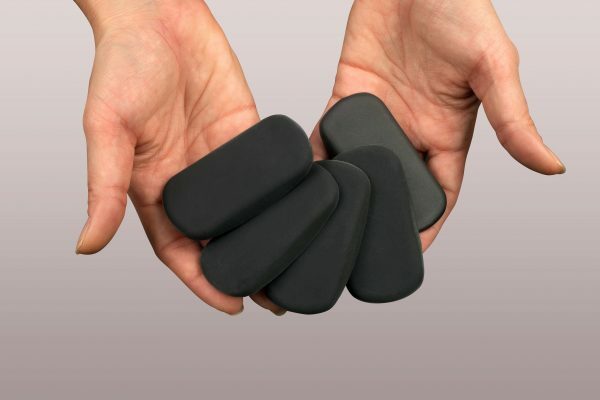 This material leaves minimal ash after burnout to produce superior casting quality. 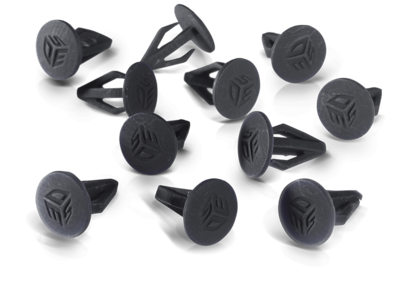 Create and produce custom jewellery or other investment castings that capture fine detail with a smooth surface finish. 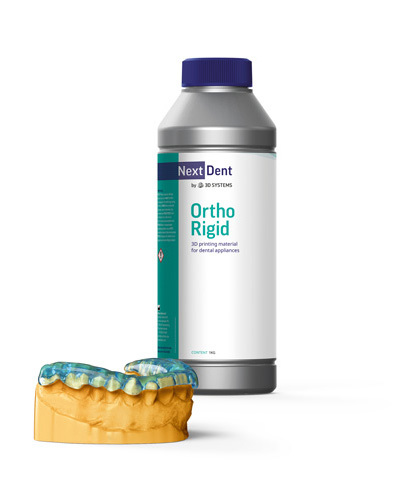 NextDent Ortho Rigid is a biocompatible Class IIa material developed for digital manufacturing of splints. 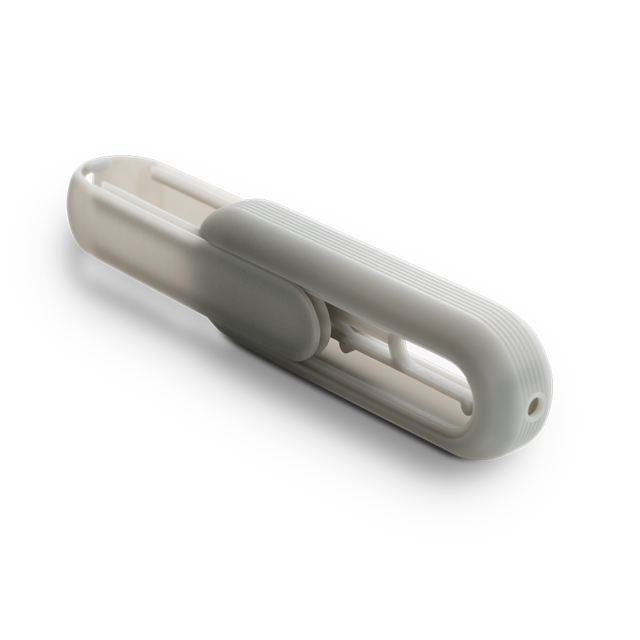 In combination with suitable software, it is possible to easily design and print splints. Available in Transparent Blue. 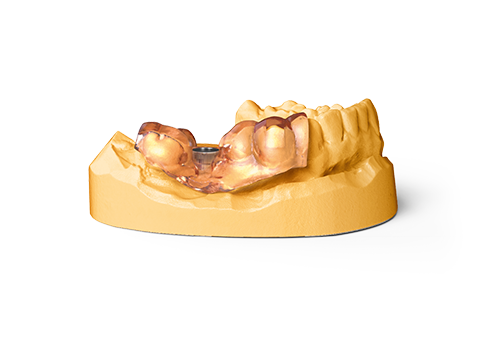 NextDent SG is a biocompatible Class I material, developed for the printing of Surgical Guides for implant surgery use. Because of the high precision of this material, it is easy to insert drill sleeves, directly after printing. Enabling even greater precision during surgery. The properties of NextDent SG will not change by using disinfectants. 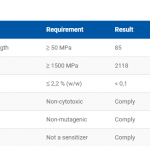 In addition, the material can also be sterilized using standard autoclave protocols. The use of an autoclave does not affect the dimensional stability, therefore NextDent SG can be used in every operating theatre. Available in colour Translucent Orange. 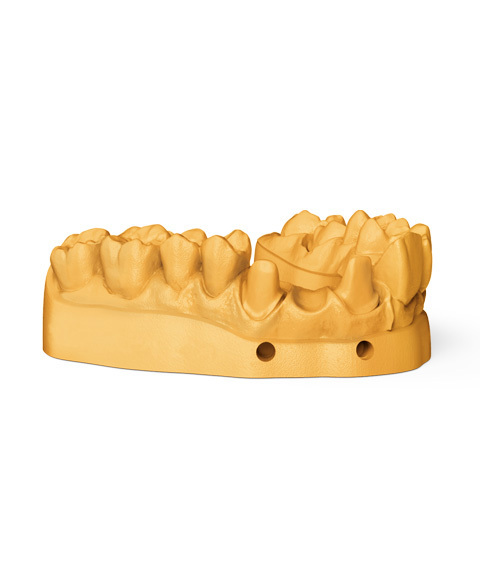 NextDent Model is characterized by its high degree of accuracy, making this material suitable for detailed master models where high precision is needed. The models show high visual details due to colour and opacity and have an ideal surface for scan-impressions. 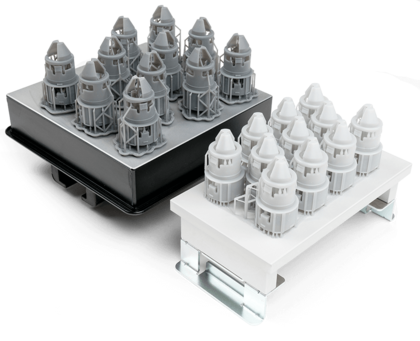 The accurate printed models are the perfect base for creating your dental workpiece. 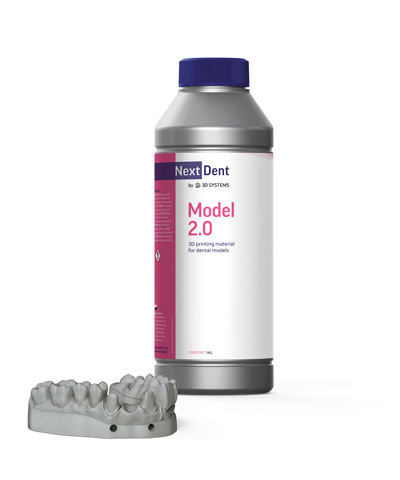 NextDent Model 2.0 is characterized by its high degree of accuracy, making this material suitable for detailed master prosthodontic and orthodontic models where high precision is needed. The models show highly visual details due to colour and opacity and have an ideal surface for scan impressions. 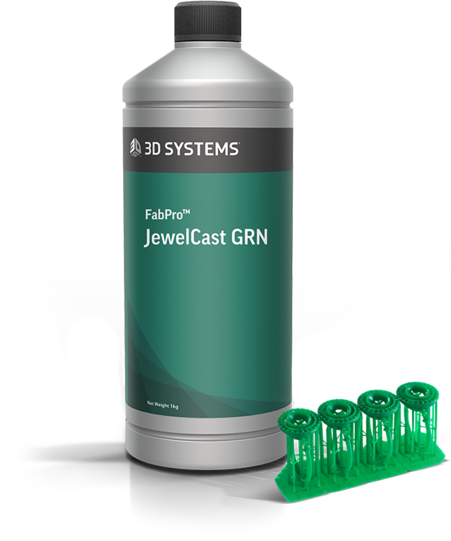 The accurate printed models are the perfect base for creating your dental workpiece. Available in colours Peach and White. 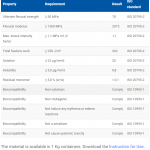 The following accessories are available for use with the FabPro 1000 3D printer. The LC-3DPrint Box is a revolutionary light-based UV post-curing unit, specially designed for post-curing 3D printing materials and is recommended for curing your FabPro 1000 prints. 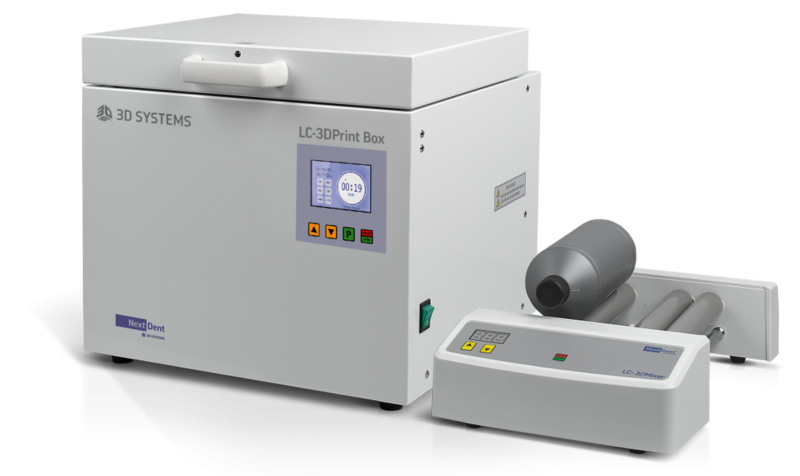 The LC-3DPrint Box is a revolutionary light-based UV post-curing unit, specially designed for post-curing 3D printing materials. Equipped with 12 UV light bulbs strategically placed inside the unit, the light-based LC-3DPrint Box ensures illumination from all directions, which results in a quick and uniform curing cycle. It is also large enough to all for easy curing of multiple prints at one time, and has enough space to place an articulator inside. When necessary, the UV light bulbs can be changed easily. 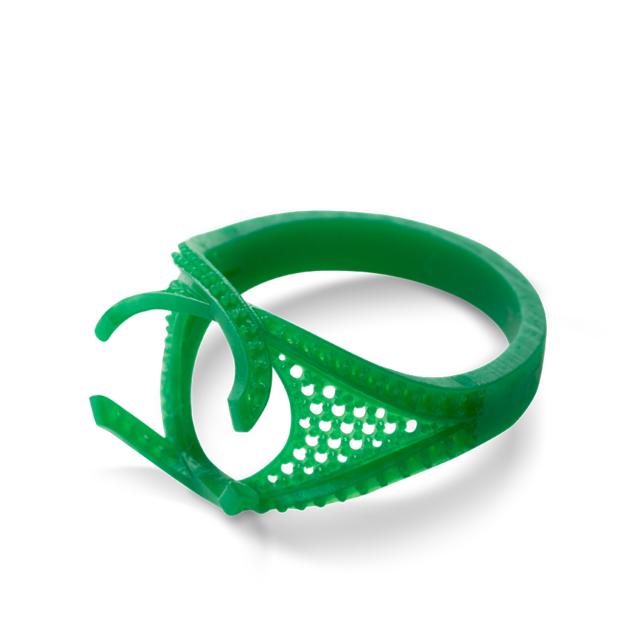 UV Curing is required for finishing your printed parts, and the LC-3DPrint Box is available for purchase separately. The LC-3DMixer is an optional accessory that may be purchased separately to stir the material before pouring into the print tray to obtain the best possible chemical mixture in the bottle. Two bottles can be rolled at once for a specified period of time. The Print Tray holds the print material during part printing. One Print Tray is included with the purchase of a FabPro 1000, with an included Storage Tray. The Storage Tray is used to cover the Print Tray holding any remaining material to protect it from UV light exposure during storage. Additional Print Trays and Storage Trays may be purchased separately. The 3D-printed part builds on the Print Platform. Two Print Platforms are included with the purchase of a FabPro 1000, and additional Print Platforms may be purchased separately. The FabPro 1000 comes with a Finishing Kit to aid in the cleaning and post-processing of your printed parts. 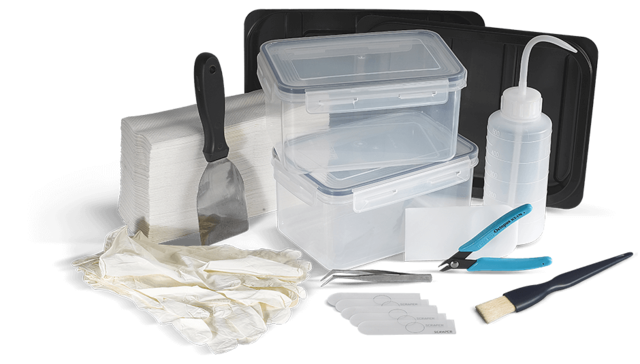 Replacement Finishing Kit Accessories may be purchased separately. © 2019 3D Technology Ltd.